After motivating yourself to roll out of bed and hit the gym, you feel like you're on the right track to improving your fitness. A nutritious, post-workout morning meal with carbohydrates and protein, and eaten within two hours after your workout will help you recover faster, and will give you more energy for your next workout. Including foods and liquids with sodium and potassium will also help rehydrate and replenish electrolytes lost through sweat. The timing of your post-workout meal may be just as important as what you eat. Eating immediately after your morning workout increases muscle glycogen, or stored carbohydrate, more than if you wait two hours to eat, according to a study published in the "International Journal of Sports Medicine." Exercise increases the amount of glucose, or blood sugar, taken up by the muscle. Your muscles use this glucose for fuel during exercise. Within the first hour or two post-workout, your muscles are still taking up glucose at a high rate and if you eat a meal, your muscles pick up this glucose and convert it to glycogen, replenishing the fuel stores you lost during your workout. Carbohydrates are the most efficient source of fuel for your muscles, particularly during high-intensity exercise. A hard morning workout depletes muscle glycogen stores. Your body also breaks down glycogen stored in your liver while you're sleeping so if you work out first thing in the morning, these liver stores are also depleted. 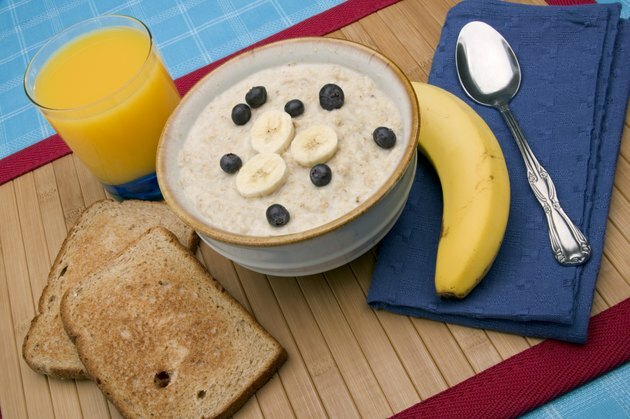 Therefore, your morning post-workout meal should focus on carbohydrates such as whole-grain toast, fruit, oatmeal, potatoes or whole-grain cereal, with no sugar added. Protein is an important component of your post-workout meal because it provides amino acids, which are the building blocks for repairing exercise-induced muscle damage. Additionally, a study published in "Medicine and Science in Sport and Exercise" showed that athletes who drank a beverage containing protein and carbohydrates increased muscle glycogen stores more than when they drank one only containing carbohydrate. 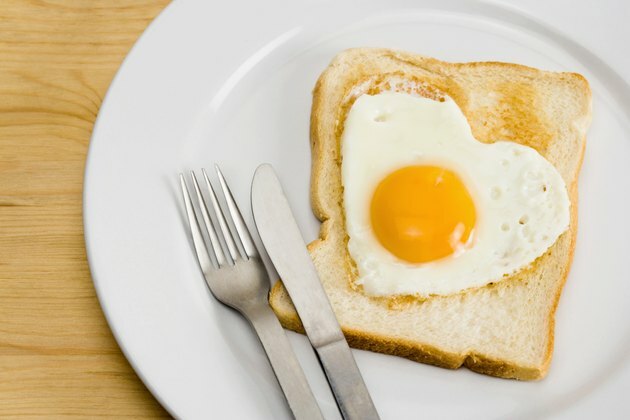 Include a source of protein, such as eggs, low-fat or fat-free milk or yogurt in your post-breakfast meal. You may also opt for protein sources not traditionally associated with breakfast, such as lean steak, sliced turkey or beans. Heavy sweating depletes fluids and electrolytes such as sodium and potassium. These electrolytes perform functions such as regulating fluid balance and muscle contraction, which are essential for health and optimal workout performance. 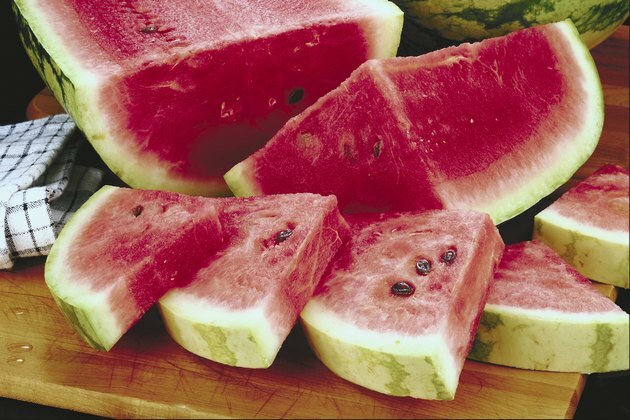 Many foods contain ample amounts of sodium but fruits and vegetables with high water content, such as strawberries, watermelon, cucumber and tomatoes, will help rehydrate you, while providing potassium. Drinking 100-percent fruit juice may also make it easier for you to replenish fluids and electrolytes, if you struggle with drinking plain water immediately after exercise.